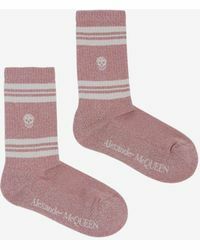 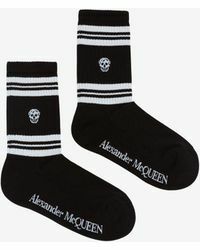 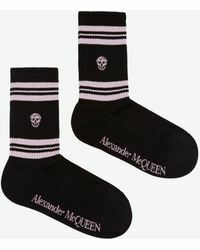 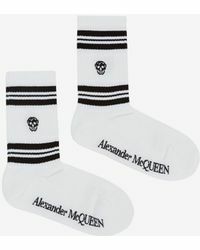 Its late namesake designer heralded as a visionary and held up as the darling of the fashion industry, Alexander McQueen continues its reign as one of the most coveted and respected names within British fashion, subverting expectations with its theatrical designs, avant-garde silhouettes and statement finishes. 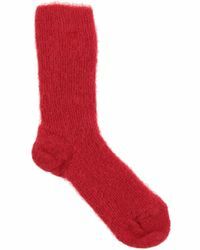 The label's playful side can be seen in its selection of hosiery, with a series of socks and tights that transcend the ordinary, done out in statement prints and with rich detailing. 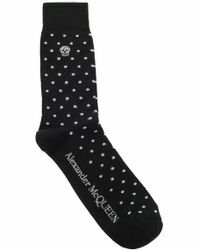 Think wool tights in heritage prints, footless tights with lace panels and socks covered in the signature McQueen skull print.